(1) Qualification - where they were asked for short answers ranging from the salary they were willing to take as mayor to which Neighborhood Planning Unit (NPU) they live in. (2) Collaboration - where they played the famous improv “yes, and…” exercise, building on one another’s ideas to improve the NPU system. (3) Courage - where they were asked to make a protest sign for an issue area that they were willing to lose reelection over. (4) People-centered decision making - where each person talked about ways to engage people in the city decision-making and also commented on the commitment they would make to small businesses, in light of the city’s Amazon bid. (5) Honesty/transparency - where they did a “failure bow” after saying something they wish they did better. The forum ended with each candidate choosing their ideal “vice mayor” and complementing what they have learned from one another. 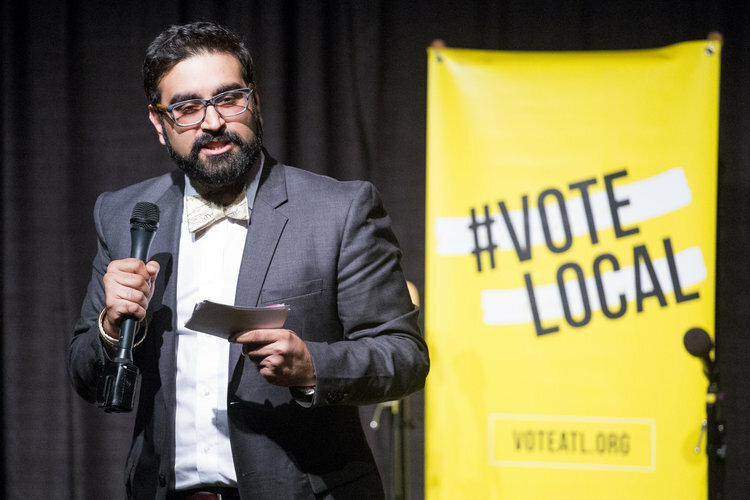 “This forum was fun and brought a human element to what has been a stressful and exhausting election cycle,” Rohit Malhotra, founder and executive director of the Center for Civic Innovation, said. 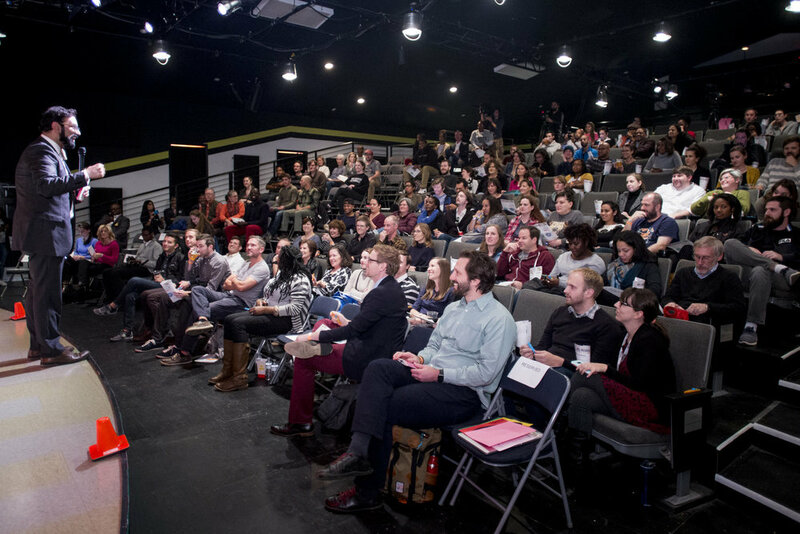 “We believe that if people are more informed about why these candidates are running and what they’re willing to fight for, they will be more likely to vote and remain engaged after the election cycle.” The Center for Civic Innovation plans to continue to strengthen civic engagement in 2018. 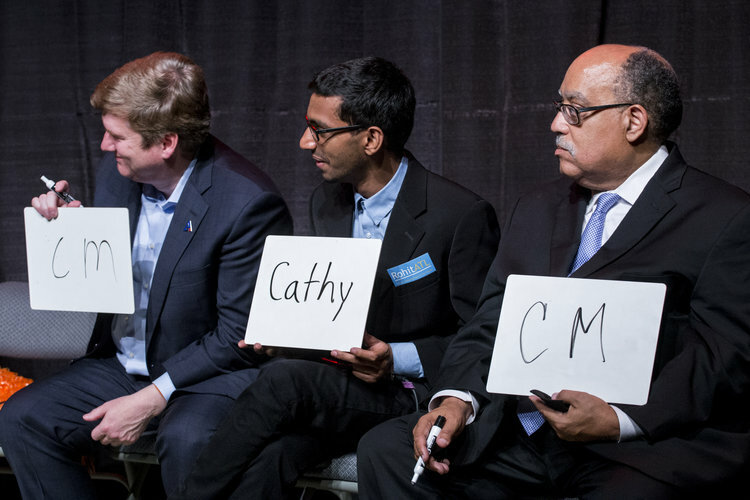 All 10 remaining candidates for mayor were confirmed to attend; however, only 9 showed up. All audience members were given a kazoo to show their appreciation of answers given by the candidates. Candidates were given pom-poms to wave if they supported the comments of another candidate.